You have decided to take your boat out for several days of diving. 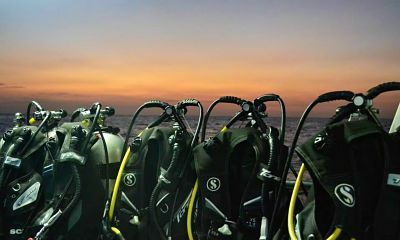 This can be a fantastic way to spend quality time at a distant dive site, to do your favorite activity with friends, or just to get away and relax for a while. Gearing a boat for a multi-day dive requires some planning, but a well-planned dive trip can be unforgettable. Here are some tips on how to make your multiday trip go smoothly. Pre-planning can be a critical part of ensuring that your trip is safe and goes well. If you have never been on a boating dive trip before, check out our article on planning for both single day and multiday boat dives for a detailed look on what to consider. For more on how to tailor that advice toward multiday trips, read on. Locations: When choosing your locations for a multiday trip, there are several factors to consider. First, the experience of your divers and the difficulty of the dives. Be certain to match these well, particularly when it comes to beginners. If your multiday is a far steam from civilization, it often is not worth the risk to choose a dive that is too technical for one of your divers. The next thing to consider is how far you are moving between dives, if at all. If there is a long distance between sites, think about using that time as a decompression stop between dives, to help maximize your time underwater. As always, check current guides and weather forecasts to ensure that you have safe diving and boating conditions for your trip. Air: The amount of air that is needed for several people over several days is, unsurprisingly, considerably more. It takes a very large boat to hold enough single-use tanks for everyone on board, and if you choose to dive this way, space can become the limiting factor in how much time you spend diving from your boat. However, there is an easier way. Consider renting a dive-grade air compressor to bring on board instead. If you are leaving from a populated area, you can look for a place that will rent a compressor at your boat’s location. If you are flying to somewhere more remote before you depart, consider renting and bringing the compressor with you. It is also important to remember that there is a difference between a dive compressor and a regular air compressor. The most important difference is that the dive compressor will monitor to ensure that different gas levels are safe for inhalation. Meals: Planning boat meals for several days of diving can be time-consuming, but there is a lot that can be done ahead of time, which will save you time. When you plan your meals, do so with the amount of galley space that you actually have. If you are on a no-frills boat with a cooler, deck barbecue, and a single hot plate indoors, your meals will be substantially different than if you have a refrigerator, range, and oven. Whether you are doing more campout-style cooking or gourmet five-course meals, there are lots of great tips to save time. First, fresh water is often limited on boats, so pre-wash everything you can. Pre-chop anything that will not go bad. Take your meats and put them in sealable bags of marinades for each meal, so that when it is time to eat, you can simply pull out the contents and stick it on the barbecue. Consider large evening meals, where you cook extra meats for sandwiches and salads for lunch the following day. If you have a large crowd and a small stove, one large pot of oatmeal goes much further and faster than eggs and bacon made to order. Keep lots of extra drinking water and snacks on hand for between-meal munching. Limit the number of perishable items, particularly if your refrigerated storage space is small. Consider assigning different meals to different people, to keep one person from having to miss out on diving due to kitchen work. If you are diving in a staggered way with one pair on board the vessel for safety, consider having one of the topside people on meal prep, and the other on vessel watch to be efficient. Safety: It is always important to follow all US Coast Guard safety recommendations regarding your vessel. Keep a list of any medical conditions that your divers may have, along with emergency contact numbers. Have a copy of this on board the boat, as well as with the people with whom you have left your float plan. In addition, be certain you have the medical supplies required to deal with small diving injuries, and the information you need to treat major dive injuries should they occur, such as the location of your nearest dive-friendly hospital, and decompression chamber. Severe dive injuries are very time-sensitive, and you do not want to waste time looking up whom to call when someone is already sick. Finally, be certain you have a working anchor with a strong line, and a visible dive flag to display while your divers are underwater. 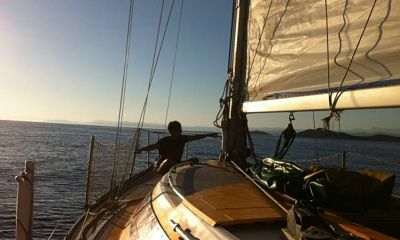 Once you are underway, the fun begins. Whether you are diving in warm water or cool, and looking at wildlife or shipwrecks, multiday dive trips can be quite memorable. Here are a few more things to keep in mind while you are enjoying yourself. Be Vigilant: Do not spend the trip fretting. You were smart to pre-plan, so you are prepared if anything goes wrong. However, it is a good idea to watch for things to arise, so you can catch them before they become major problems. Listen for funny engine sounds, and check up on things if they seem off. Watch your guests for signs of dehydration, exhaustion, illness, or sunburn, and be ready with a preventative measure and a smile if these things arise. Anticipating the needs of your friends can make you a fabulous host or hostess as well as keep your group safe and healthy. Daily Gear Check and Maintenance: If you do not have a boat with a large reservoir of fresh water, bring a large garbage can full of fresh water to soak your gear in between dives. This will save on overall water, and keep salt from prematurely aging your gear. If you have enough water, change the dunk tank water between dives. If you do not, consider adding a cleaning agent like borax to the water to keep things smelling fresh. Avoid bleach, as it can prematurely break down neoprene. Even if you have checked your gear before leaving, do a quick gear check before each dive to avoid unwarranted problems. Plan A or Plan B? : Even the best planned trips can hit unexpected weather. Consider having a backup plan on dive sites. One great way to do this is to choose a few sites on a few different sides of an island. This will allow you to choose dives on the leeward side, no matter what kind of a system comes up. Rain is rarely an issue for divers, but currents can make it difficult for a tired diver to return to a boat, so be ready to choose safety over fun if needed. Found Moments: Do not be too stringent with your dive plan if something wonderful arises. If you have a site where something amazing is happening, like a giant hatching of baby squid, consider skipping your other dive sites to stay and enjoy an amazing event. If a rare species is sighted by other divers, consider changing plans and enjoying your once-in-a-lifetime opportunity. Structure is helpful, but it helps to add flexibility too. When you return, there is still a little more to consider before you pack up and go home. Whether the trip was life-changing or run-of-the-mill, there are things you can use to make your next trip run as smoothly or even better. Saved Locations: If you have discovered a miraculous new dive area or the secret spawning grounds of your favorite fish species, be certain to make note of it on your chart plotter, and to keep that location and date for future dives. This may be something you want to make an annual event. Flight Arrangements: Be certain that you have arrived with enough decompression time to be able to catch your flight safely. This also includes any drives into the mountains. Post-Trip Maintenance: Keep the boat and dive gear in good order by doing any needed maintenance when you return to shore. Vessel Log: Keep track of fuel consumption, vessel hours, weather, and locations of note. If the boat is yours, these notes can help you detect if something is wrong with your boat long before it becomes a major repair. Whether the boat is yours or not, it gives you a good idea of which places you want to return to, and new places to dive next time. Multiday dive trips are a fantastic way to get a lot of dive time done without the annoying back-and-forth of shuttling to distant sites. A well-planned trip can make things smooth, and a flexible attitude and readiness for unexpected opportunities are ways to make the trip unforgettable for you and your guests.